The Junior team placed 4th out of 8 this weekend in St. Charles. We were victorious over St. Charles before falling to KW, and losing by criteria in a tie with Rochester Mayo. 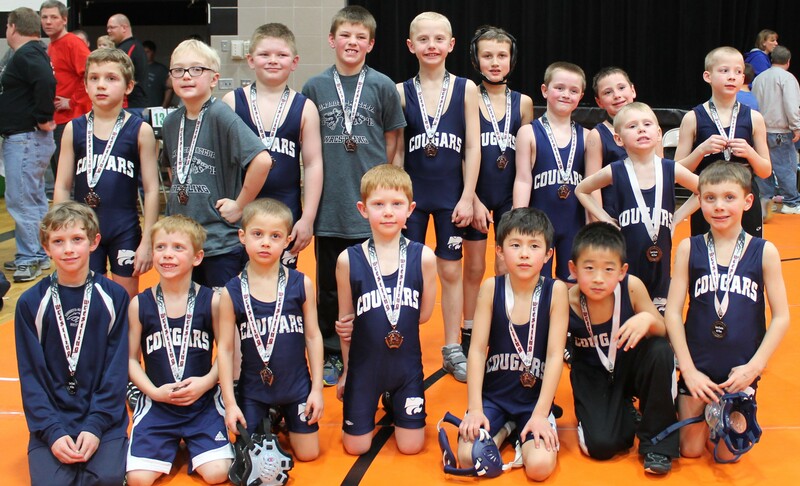 It was the first opportunity for many of our wrestlers to be in a team tournament and they look forward to doing it again! The Senior team fell to both PEM and St. Charles in their only matches. Thursday- Open mat practice in new wrestling room. 6:00-7 PM. Watch Cougars final home meet of the season. Saturday- Watch Section 1 Class A semifinals at Mayo Civic Center at 2:3o. Section finals will follow.